This year twenty pupils who joined Holsworthy Community College this September were invited to participate in the HCC Summer School. 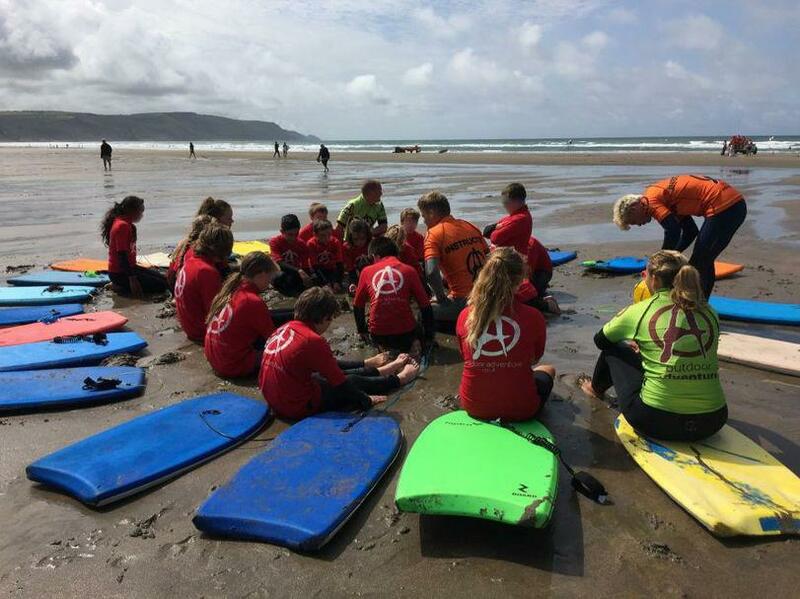 This ran for one week from 21st to 25th August, with Literacy and Numeracy sessions in the mornings, followed by outdoor pursuit sessions with Outdoor Adventure in Widemouth Bay and Bude in the afternoon. The enthusiasm and full participation of the pupils ensured a very successful week, with Miss Horn and Mr Kerslake thoroughly enjoying the fun outdoor activities too. Miss Horn delivered engaging Literacy sessions, culminating in the superb ‘5 Senses at the Beach’ poems, Mrs Curry created active Maths Olympics with fun Numeracy sessions on the Astroturf, Mr Kerslake supported in his role as Teaching Assistant.